Sento makes it the perfect choice for any website. Blog, Business, charity, well everything! You can now do it all through the beauty of Sento! Sento is 100% responsive. It looks great on all devices, from mobiles to desktops! Switch on the responsive layout from the theme options panel. To control what's shown in these featured sections go to the theme options panel. Appearance -> Theme Options and select Homepage (Content). 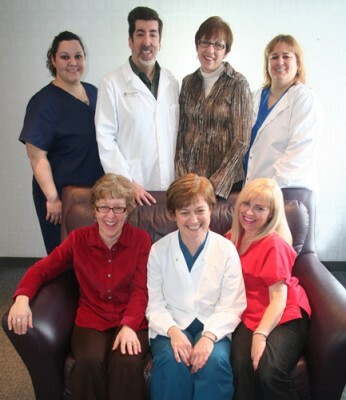 David Paris, DDS provides cosmetic and general family dentistry for children and adults. If you want great oral health from a skilled dental team in an environment where you will be comfortable and at ease, you have come to the right place. Our team is dedicated to providing you with the best dental care, which will in turn help keep your whole body healthier for a lifetime. Part of our commitment to serving our patients includes providing information to help you make more informed decisions about your oral health. Dentistry is continuously advancing and is a vastly more comfortable experience today. Patients find our services take the fear out of dentistry. Find out what our patients are saying about us. Please take a few minutes to learn about tooth replacement options, senior dental care, or our cosmetic options to make you feel confident about your smile. David Paris Dentistry accepts private insurance and offers a variety of payment options. I Had An Extraction, Now What Do I Do?